New ideas: Sushil Dungerwal of Square Feet says he wants to hand-hold greenfield mall development based on extensive market research. Bangalore: Given the downturn in the real estate market, one may question the timing of their entering the business. But a clutch of entrepreneurs have in the last 12-18 months defied the odds and launched start-ups that they claim have weathered the hard times better than established realty firms. Srinjoy Sharma, 33, a partner in the year-old Raynal Realtors Pvt. Ltd, a Bangalore-based real estate start-up, says he is not worried about the downturn as he readies for his first project launch next month—a 150- acre layout that will be carved up into small plots and sold. “While most of them are in crisis now, we are relatively safe. We didn’t make the mistake of launching projects during the year and focused on selling land because it’s less risky than selling flats," says Sharma, a journalist-turned-developer who teamed up with two friends with several years of experience in property firms. The firm earned revenue of Rs150 crore in its first year by buying land and disposing of high-cost land parcels while retaining relatively low-cost plots for its own projects. Raynal is one of the real estate start-ups attempting to break the mould of a conventional property developer by pooling the work experience of professional promoters to survive a slow market. Pranay Sinha, 36, managing director of the recently-launched Star Centres, plans to launch 12 shopping complexes across the country. Retail expert Sinha’s partner is Shilpa Mallick, author of the book Malls of India. Sinha is confident that their past work experience in Singapore, which prides itself as a leading Asian shopping destination, will help the venture ride out the downturn. “We have seen a similar depression in the South-East Asian markets and have learnt lessons from that," says Sinha, who was earlier with property advisory Jones Lang LaSalle Meghraj for four years. Sinha’s company began with a start-up capital of Rs120 crore. “We have spaced out the malls over the next 36 months in a phase-wise manner where each mall will have an individual format, and did extensive market research to identify locations. We will launch the first one in Bangalore," says Sinha. Real estate analysts say endurance will be key for such start-ups. Only recently have professionals set out independently into real estate as the industry transitions from family-run businesses to corporate set-ups. “If a company has just launched, it will be in trouble because it is sitting on expensive land without being able to construct and if it is funded through debt, it may be forced to liquidate a portion," says an analyst at a Mumbai-based property advisory, who did not want to be identified. QVC Realty, a year-old start-up, says it is the country’s first venture-funded real estate company with IL&FS Investment Managers Ltd as a financial partner. “We invested one year in getting all approvals, raising the required funds before we made a commitment to our buyers," says founder Prakash Gurbaxani. “We have been cautious and didn’t rush to launch projects." The company announced its first project last month, a villa development in Nandi Hills, close to the new international airport in Bangalore. “Unlike most property firms that are family-run, we didn’t have any land bank and started from scratch and, therefore, are more accountable to our investors and clients," says Gurbaxani, who has a post graduate degree in construction management and has worked with TSI Ventures India Pvt. Ltd and other builders in the US. Accountability, transparency, professional expertise and the discipline that comes from having worked in tough markets, these start-ups hope, will prove to be key advantages in weathering the downturn. Mumbai-based Square Feet Management Pvt. Ltd is a month-old start-up. 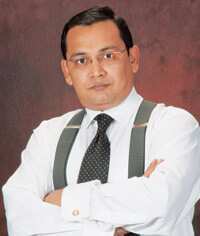 Its founder Sushil Dungerwal worked with Prestige Estates Pvt. Ltd and Emaar MGF Land Ltd, heading their retail divisions. “As an entrepreneur, real estate is an open canvas and I know the areas where developers have burnt their fingers in the past and wouldn’t repeat them," Dungerwal says. “I want to hand-hold greenfield mall development based on extensive market research so that we don’t go wrong." The important thing for these beginners would be survival and the ability to carve out their own space, says Pranay Vakil, chairman of Knight Frank India Pvt. Ltd, a property consultancy firm. “We have to see how they fare over time and deal with hurdles," he says. “This new breed of builders need to carve their own niche and make it their selling point (to survive)."